The capital of Karnataka, Bangalore is, at present, Asia's fastest growing cosmopolitan city, with a huge demand from technological giants worldwide. With rapid development, “The Garden City of India” now boasts of also being "The Silicon Valley of India". Founded in 1537, Bangalore is a kaleidoscope of striking colours now. The city epitomises India's excursion from an emergent nation to the hub of information technology. Recently renamed as Bengaluru, it is also the core of some of the major scientific establishments in India. The city bears the mark of a splendid past that, today, mingles with modern conveniences and pleasures. A delightful destination, the city of Bangalore is beautifully decorated with parks, gardens, lakes, and fountains. It also serves as a perfect stopover for some very beautiful places nearby including Mysore and Jog Falls. Ulsoor Lake: The Ulsoor Lake, also known as Halasuru, is in central Bangalore, close to M.G. Road. The lake was formed for harvesting rainwater and has a surface area of 125 acres. The lake is an interesting location for tourists as it has boating and cruise facilities meant for visiting beautiful islands that contain various kinds of flowers, birds, and insects. The Sri Guru Singh Sabha Gurudwara, on the edge of the Ulsoor Lake, enhances its beauty and attraction for the visitors. ISKCON Temple Complex: ISKCON stands for “International Society of Krishna Consciousness” that bears 400 temples across the world dedicated to Lord Krishna. Amongst these, the ISKCON temple in Bengaluru is the largest. Built atop a hillock, the temple offers visitors an enchanting view of the surroundings. The architecture is a mixture of neo-classical and Dravidian style, and the large prayer hall can accommodate 2,000 devotees. Roof paintings depicting the life of Krishna are unique and informative. Bull Temple: Bull Temple in Bangalore, also known as ‘Nandi Temple’ or ‘Bhoganandiswara’ temple, is a sculptural masterpiece. It is dedicated to Nandi, the bull, who is considered as Lord Shiva's Vahana or vehicle, according to Hindu mythology. It has a large sculpture of bull, which is about 4.6 metres tall and 6 metre long. One of the distinguishing characteristics of this structure is that it has been carved out from a single rock of granite. Someshwara Temple: Someshwara Temple in Bangalore is dedicated to Lord Shiva. It is one of the oldest and biggest temples of Bangalore, reminding us of the rich heritage of the Chola Kingdom. The marvellous architecture of the temple with glorious Rajagopuram (tower) and Dhwajastambha (massive pillar) in the entrance of the temple, attracts devotees from far off places. Also known as the Rajiv Gandhi National Park, it is a part of Nilgiri Biosphere Reserve. This national park consists of beautiful small streams, waterfalls, valleys, and a rich forest cover. 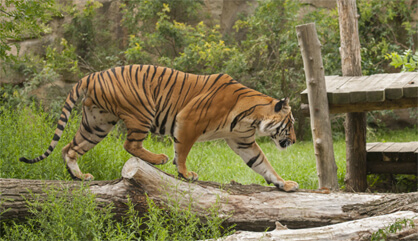 The park consists of many tigers, elephants, and bison. The various tourist attractions near Nagarhole National Park are Chembra Peak, Soochippara Falls, Fishefolk Temple, Payyambala Beach, Kappad Beach, and much more. 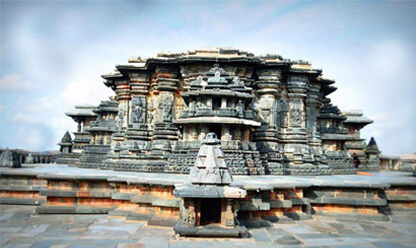 Belur is known for its heritage tourism. Once the capital of the Hoysala Empire, Belur is famous for its exquisite temples and sculptures from the Hoysala period. Belur is also known as Dakshina Varanasi or Southern Banaras. 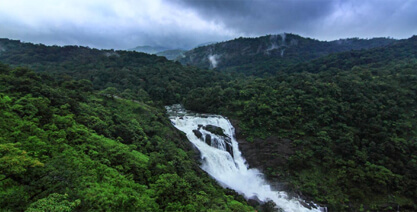 Located on the plateau region of the Western Ghats, it was called "Scotland of India" by the British. Some people have named the place as "Kashmir of South India" as well. This place is one of the most famous tourist destinations of the state as well as the country. The natural beauty of the area has made it popular even amongst international tourists. This district of Karnataka is mostly frequented by nature lovers. 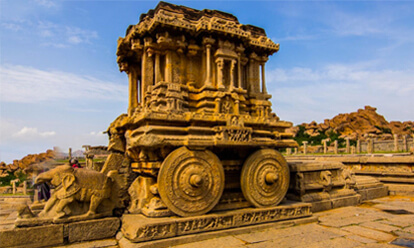 Tourist attractions in Hampi lie in its boulder-laden landscape and rocky outcrop hemmed in a lush green surrounding. The ruins remind you of a mighty empire that dominated a large part of South India after the Mughals. Jog Falls is counted amongst the highest waterfall in India with a height of 253 meters, created by the Sharavathi River. 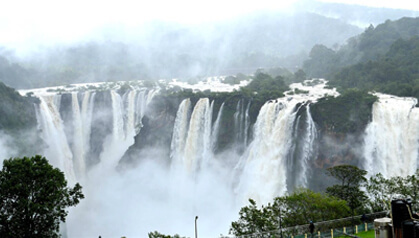 The Jog falls is situated in the Shimoga district in the state of Karnataka and is also known by the nickname "Gerusoppe Falls" or "Jogada Gundi". 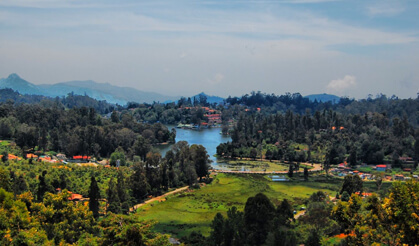 Popularly known as "The Prince of Hill Stations", Kodaikanal is one of the very popular and most sought-after honeymoon and holiday destination in South India. This hill station stands 7200 feet above the sea level and is situated in upper palani hills of the Western Ghats near Madurai in Tamil Nadu. The cool and misty weather, the scenic beauty of the rolling hills, and the wooded forest of Kodaikanal can mesmerise any visitor. Walk through the wooded forests, row in the lake, bath in one of the splashing waterfalls, go for horse riding, cycle around the lake or simply admire the views. The options are unlimited. 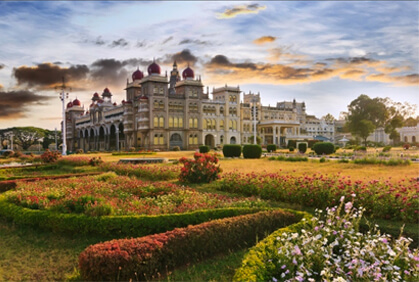 Mysore city, popularly called "The City of Palaces", is famous for its magnificent palaces, beautiful gardens, majestic temples, and serene lakes. This is a place of festivals, since many festivals are celebrated here with great joy and enthusiasm. Besides these, this city attracts tourists from all over the country with its rich heritage, tradition, and culture. Visitors get enthralled by the place's quaint charm. This city of Karnataka is even known for its silk and sandalwood products, for which it is often called by the name of "Sandalwood City". Apart from being the state's cultural capital, it is the 2nd cleanest Indian city. Ooty or Ootacumund is a tranquil hill station that is located in the state of Tamil Nadu in South India. 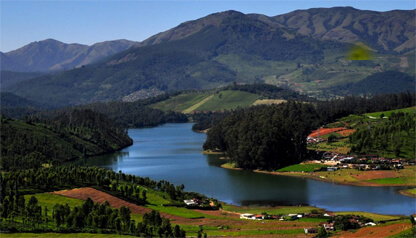 Ooty is known for its verdant valleys covered with wild flowers and lush forests. The lovely tea plantations add to its scenic value. 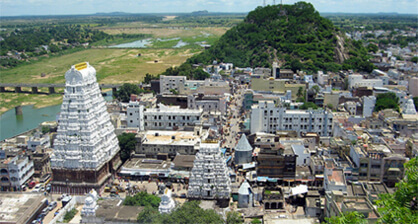 One of the far-familiar pilgrimages of India, Tirupati is located at the Chittoor district of Andhra Pradesh at the foothills of the Eastern Ghats. 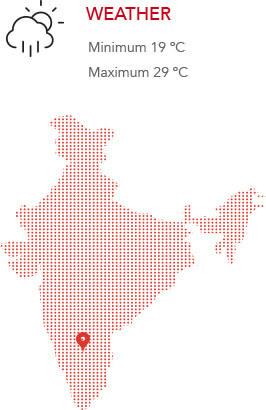 It is 550 km south of the capital of Andhra Pradesh, Hyderabad. Being one of the major pilgrimages of India, this place is one of the busiest pilgrimage centres in the world.